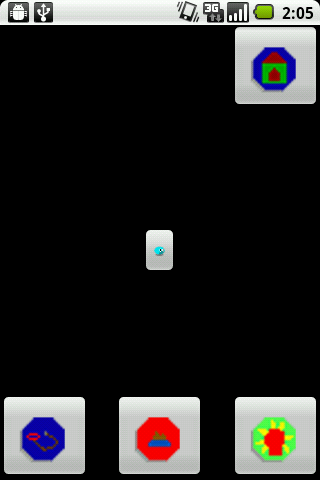 Tebu is a virtual pet game for Android devices. Take Tebu on walks to collect items for Tebu to wear into battle! 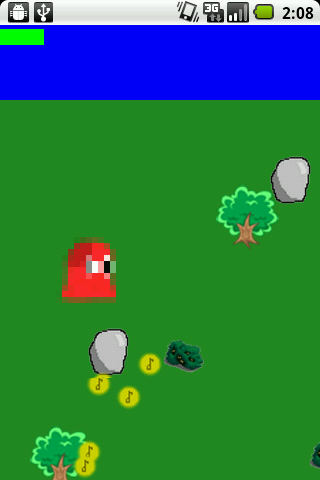 Tebu was developed by The Time Travelling Gentlemen, a team of 5 computer game design students, for the Software Engineering Methodology class. Our focus was more on design and documentation than making a polished game. 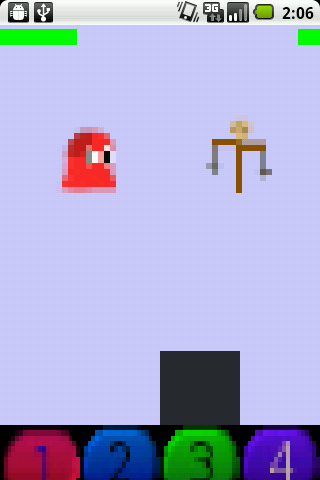 Tebu features super-pixelated programmer art! 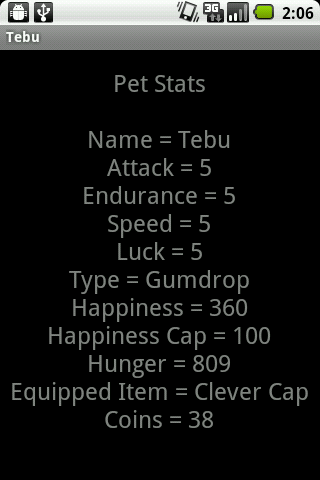 Tebu Walk, Fight, Stats, and Home screen. Tebu was programmed in Java using Eclipse and the Android SDK.